Mark your calendar for the arrival of The Kinetic Art of Lyman Whitaker–spectacular hand-crafted wind sculptures coming to the Dallas Arboretum this spring! 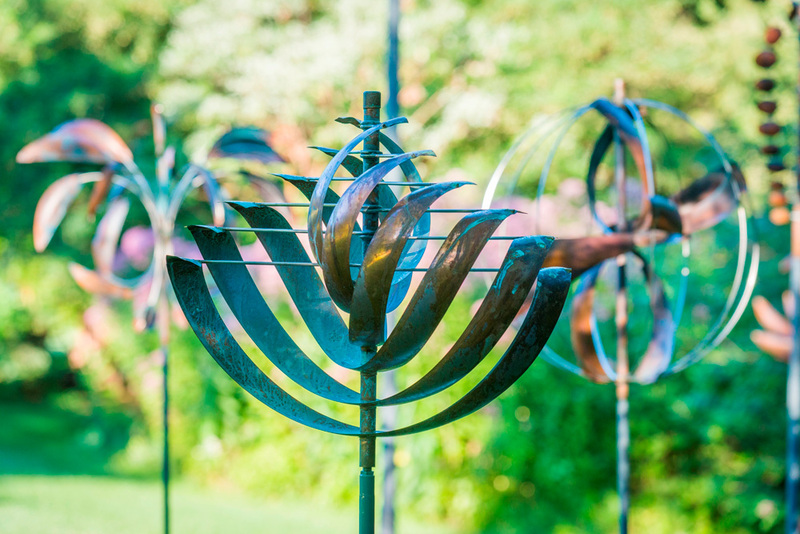 Whitaker is the most recognized creator of kinetic art in the world, and his copper wind spinners will be mesmerizing as juxtaposed with the beautiful gardens. There will be 125 different pieces in the exhibit. This mesmerizing exhibit opens on April 15, and closes on August 31. So if you live in Dallas and want to acquire a piece from the collection, thus saving on shipping costs, this will be your chance. Each sculpture is warranted for life, spins on a sealed bearing, and can withstand winds of up to 100 MPH. This is definitely a win-win. You get wonderful art for your garden, and Dallas Arboretum will receive a percentage of the sale price. LEOPOLDgallery will arrange installation for you, and ensure that it is expertly done. Lyman Whitaker will also exhibit his kinetic sculptures in 2018 at the Phipps Botanical Conservatory, and in 2019 at the Catalina Island Museum in California. The Lyman Whitaker exhibit at the Dallas Arboretum is supported in part by Dave Perry-Miller Real Estate, to whom we wish to express our gratitude. LEOPOLDgallery is honored to work with the Dallas Arboretum and Botanical Garden on this project, and with all of their amazing staff.